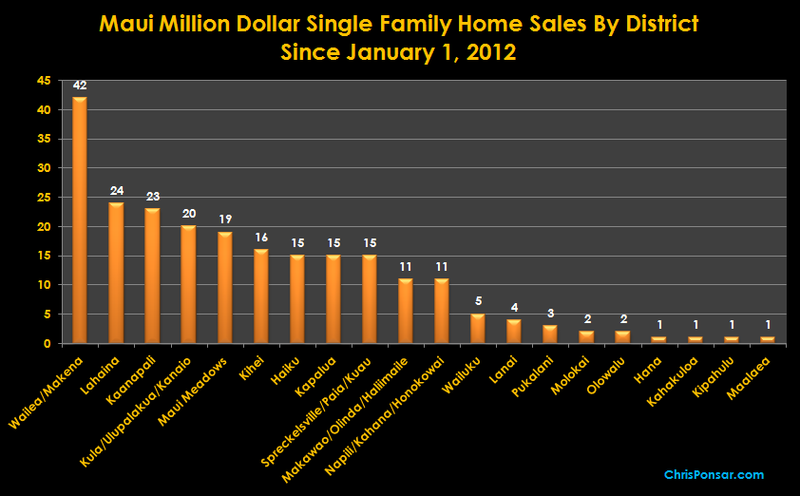 Since January 1, 2012, a total of 231 “million dollar plus” homes have sold in Maui County, generating a total dollar volume in excess of $525 million. There are many ways that Hawaii real estate appraisers analyze luxury sales statistics. Because a proper market study for this segment would run many pages, I will be posting one analysis per day for the next ten days. 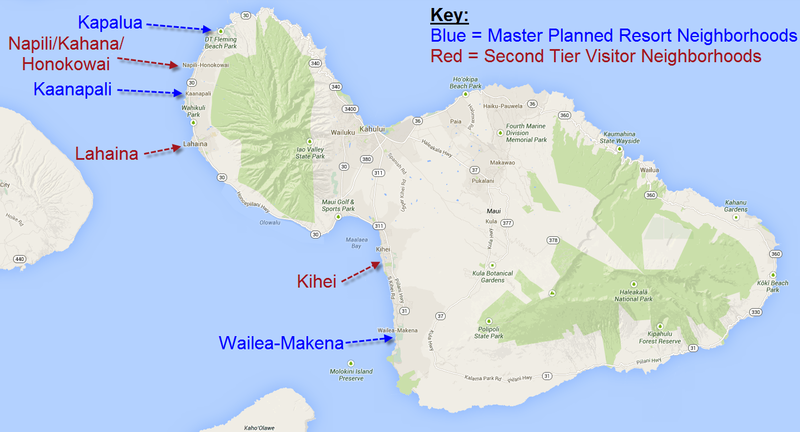 Maui’s three resort districts of Wailea / Makena, Kaanapali, and Kapalua are in bold. As shown, almost 35 percent of Maui’s million dollar home sales since January 1, 2012 come from these three master planned communities. The second tier visitor areas of Lahaina, Kihei, and Napili/Kahana/Makawao log an additional 22 percent of the “million dollar” single family home sales on the Valley Isle. While upcountry locales are showing strong sales figures in the million dollar and above segment, Maui’s master planned resorts of Wailea/Makena, Kaanapali, and Kapalua lead the way. Hi Brian, thanks for question. Lanai and Molokai are indeed separate islands, but both are located in Maui County, and each falls under the umbrella of the Realtors Association of Maui. In Maui MLS records, Lanai and Molokai are classified as separate districts (neighborhoods). For what its worth, the island of Kahoolawe is also located in Maui County, but we’re a few years away from any sales over there!